This is a brilliant TED-Ed resource for anyone interested in the Periodic Table or Chemistry. The Periodic Videos team at Nottingham University have done short videos for each element so far discovered. All these videos are created by video journalist Brady Haran, featuring real working chemists from the University of Nottingham. 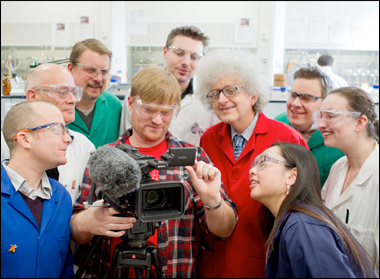 See Periodic Videos for more about the team behind the films. Click on the periodic table below or http://ed.ted.com/periodic-videos to find out all sorts of chemistry facts! If you like this the Periodic Videos team have started a new series – The Molecular Videos which features their favourite molecules and compounds.